The people who perform this role are qualified and experienced, ready to respond to the challenges resulting from the size and complexity of our implementations. Depending on the project they manage, they use a variety of techniques, both traditional, such as Prince2, and agile, such as Scrum. Their everyday tools include such tools as MS Project, Jira or Greenhopper. Thanks to them you can be sure that your project will be delivered according to the schedule. You can count on them. - integration solutions - using products from the IBM WebSphere family (MessageBroker, MQ), IBM Sterling (Order Management) and Red Hat (JBoss Fuse). There is something for them that can not be done. They will face any challenge and although you can not see them, thanks to their knowledge and experience your business goal will be achieved and the system will be safe, efficient and effective. The analysts department is responsible for making a business and system analysis, which involves learning about the client's system and defining processes that will be subject to further actions. They are specialists in the field of design and prototyping of information systems. When planning your system's work, they use BPMN notation, UML language and modeling tools such as Enterprise Architect. Thanks to their experience, your system will be well thought out from the beginning to the end, and we will avoid chaos in its implementation. 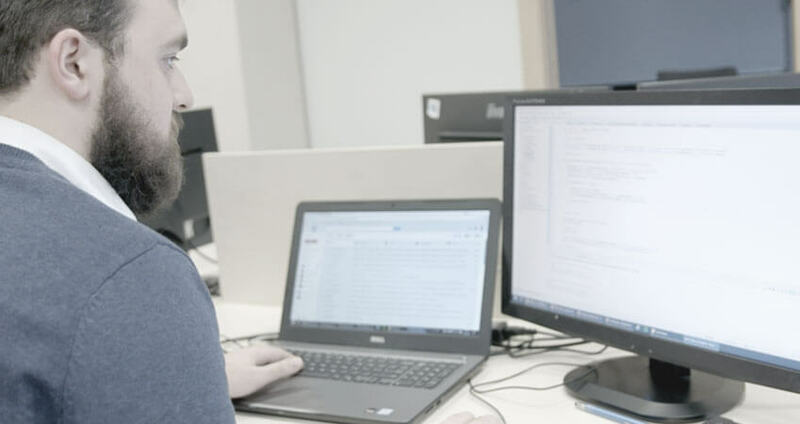 The team of our testers is characterized by reliability and inquisitiveness. Their task is to take care of the details, which they implement using such tools as Jira, Redmine, Track or Selenium. Thanks to involvement in dozens of projects, they gained experience in every element of the testing process - starting from the analysis of system functionality, through the preparation of test scenarios, to the implementation and management of the testing process. They will ensure that your project is delivered without defects and its operation will be constantly monitored.